The number of US craft distilleries has risen 26 percent. 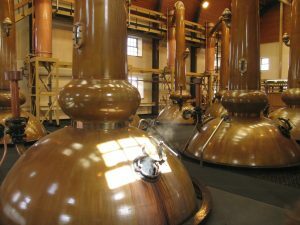 The American Craft Spirits Association (ACSA) compiled the data from recent years to find that in 2016 there were 1,315 distillers, which then rose to 1,589 in 2017. 32.7 percent of all craft distilleries are located in the West, with a total of 148 in California, the nation’s state with the most distilleries. The South, specifically Texas, North Carolina, and Kentucky, consist of 29.3 percent of all distilleries, followed by the Midwest and then Northeast with 19.1 percent and 18.9 percent respectively.